From bottles to car parts and textiles, plastics are everywhere. Companies generate plastic scrap from packaging and manufacturing applications. Luckily, South Carolina has a robust plastic recycling industry with about 100 companies in the value chain who collect and recycle residential, commercial and industrial plastic scrap material. Businesses can contact commercial and industrial recyclers to handle the plastics coming from process or packaging waste. The Carolinas (North and South Carolina) have a robust plastic recycling industry that provides readily available markets for the region. The industry employs more than 3,500 people, with the capacity to process more than 750 million pounds of plastic bottles per year. The simple act of recycling plastic bottles creates well-paying jobs, and companies that have a good supply of recycled bottles will continue to invest and expand their businesses in South Carolina. 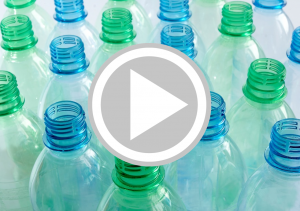 Companies like Palmetto Synthetics, US Fibers, Sun Fibers and others recycle PET bottles into new products. Textile recyclers handle polyester, nylon and other non-woven materials derived from plastics that are an extension of the plastics recycling value chain. There are 13 textile recyclers in the state, and Leigh Fibers and Martex Fiber are two of the larger employers in this recycling industry sector.